I figure this counts as a classic not only because it is considered one of the great comedies of all time, but also because it was made before I was born. And anything pre-John should be old enough to be classic. Right? The movie loosely tells the story of a man of biblical times involved in a movement to make Rome look silly. 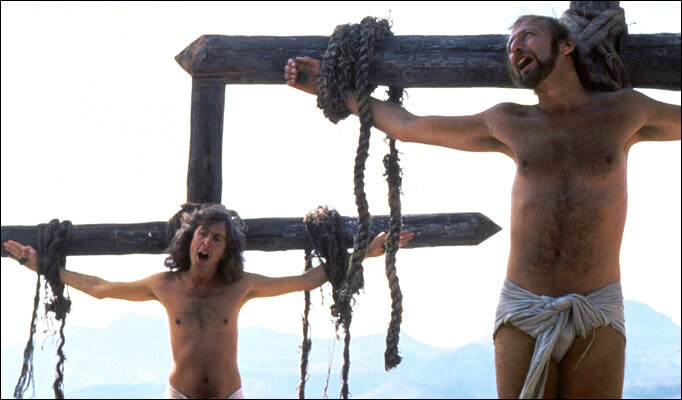 I watched MONTY PYTHON’S LIFE OF BRIAN (1979) on 9.25.09. It was my second viewing of the film. NOTE: THIS RANKING UTILIZES THIS SITE’S ORIGINAL SYSTEMIC ARTICLE WRITING METHOD. THE METHOD BY WHICH THE RANKINGS WERE ARRIVED AT, HOWEVER, REMAIN THE SAME. ~ by johnlink00 on September 25, 2009.